From Theresa’s 2013 installation as co-pastor, with John Anderson. The table cloth and stoles were created in worship by the congregation. 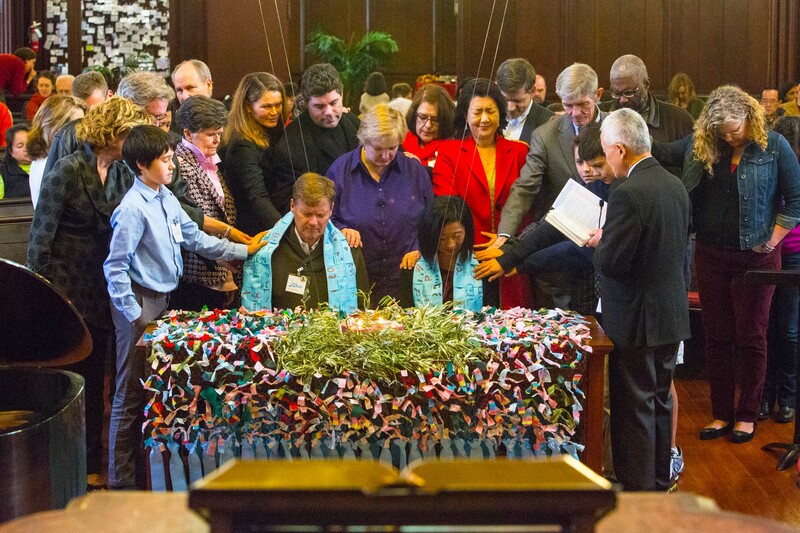 The table cloth came from a ribbon prayer wall hung outside and the stoles were made from blessings written on ribbons from the congregation. 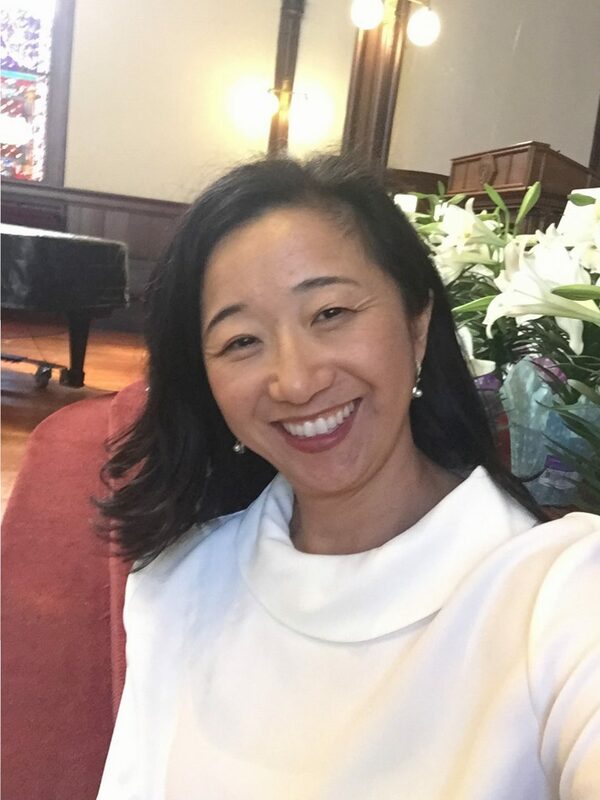 Theresa Cho is co-pastor at St. John’s Presbyterian Church in San Francisco. She is currently working on her D.Min at Fuller on Leading Change in Congregations. She blogs at www.theresaecho.com. During Lent this year we are sharing a series on The Artist as Educator. Look for posts from Lisa Hickman, Allison Wehrung, Sybil MacBeth, and Carmel Tinnes.